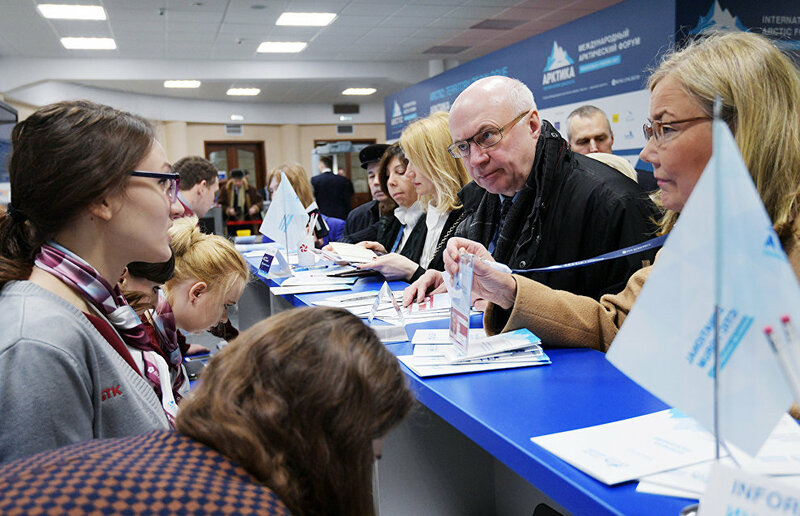 Representatives of government agencies, academia and the business community will speak at The Arctic: Territory of Dialogue 5th International Arctic Forum, according to the Roscongress Foundation. "The official website of the International Arctic Forum lists the speakers of the Youth Day's business program. Representatives of government agencies, academia and the business community will join discussions on the forum's sidelines," the Roscongress Foundation said in a statement. Dmitry Fishkin, Deputy Director of the Department of Public Policy and Regulation for Hydrometeorology and the Study of the Arctic, Antarctica, and the World Ocean at the Russian Ministry of Natural Resources and Environment, will moderate the business program's first session, The Involvement of Young People in Environmental Initiatives to Support Sustainable Development in the Arctic. Other speakers will include Ilya Dunichkin, Assistant Professor at the Urban Development Faculty of Moscow National State Research University of Civil Engineering, Ph. D. (Technology); Ildar Neverov, Chairman of Delovaya Rossiya's Committee on Nature Management and Environment; and Olga Shtemberg, Chairperson of the Committee for Supporting Entrepreneurship in the Field New Quality of Life and Sustainable Development at the Russian Chamber of Commerce and Industry. Oleg Naraikin, Vice President of the Kurchatov Institute National Research Center, will moderate a discussion called The Role of Alternative Energy in Arctic Development. For their part, Mikhail Kovalchuk, President of the Kurchatov Institute, and Alexander Bedritsky, Head of the Russian Hydrometeorological Society, will take part in the discussion. Participants in the plenary session Bringing Together Young People in the Arctic: Opportunities for Personal Development and Career Growth will focus on the issue of recruiting young professionals for the Arctic region and the creation of favorable conditions for the professional and social development of young people. There are plans to discuss this matter with Nina Veisalova, First Vice President of the Russian Association of Indigenous Peoples of the North, Siberia and the Far East and Adviser to the Rector of Herzen State Pedagogical University of Russia; Andrei Platonov, Deputy Head of the Federal Agency for Youth Affairs; and Artur Chilingarov, Special Presidential Representative for International Cooperation in the Arctic and Antarctica and President of the Association of Polar Explorers.